Summertime is here and most of us are heading out to the beach and pools to enjoy the wonderful weather. What better way to enjoy the warm sunlight than with beautiful glowing skin? As we are all well aware, massage has many great benefits for the body. From relaxing the muscles to soothing pain, massage is well known to do the body good. One of those benefits is that it improves blood circulation and blood flow throughout the body which means radiant glowing skin. So why not take advantage of these great massage benefits for the summer? 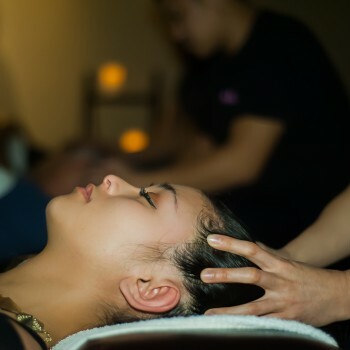 Detoxifying your body through massage alone brings about many benefits for the skin but there are more ways that massage can give you skin a beautiful glow. By massaging the skin, dead skin cells may be removed from your skin which eliminates dullness and brings fresh skin to the surface. The strokes and techniques used in massage are great for plumping up slack skin and preventing sagging skin. Also, moisturizing your skin through massage helps the skin to absorb more nutrients. By using the right massage oil, such as one that contains vitamin E, jojoba or almond, you can also enhance the complexion of your skin. With the right oil and massage technique, the skin will feel much more nourished and hydrated. Facial massage can also improve the skin texture and reduce puffiness which gives a more youthful appearance. Massaging the face softens expression lines around your eyes, lips and eyebrows. It also helps get rid of acne-causing toxins. Another plus is that it de-puffs and brightens the eye area leaving the skin on your face looking more refreshed than ever. With the many benefits of massage, you can be ready for summertime fun in the sun. Enjoy a relaxing massage session and walk out with your skin feeling nourished and revitalized from head to toe. A great massage that is highly recommended at Happy Head Foot Reflexology and Massage is the Asian Fusion Combo massage. This massage incorporates reflexology, deep tissue, and Thai. This massage is great for the person that wants it all. Can You Increase The Size Of Your Breasts By Massaging Them?